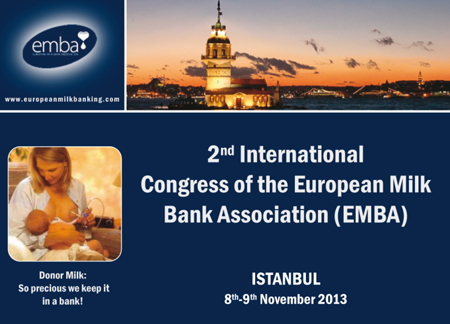 HSC will attend the 2nd International Congress of the European Milk Bank Association (EMBA) in Istanbul (Turkey) on the 8th and 9th November 2013. Visit us on our stand and discover our neonatology products specially designed for human milk banks and maternities. We will be pleased to show you the benefits of our human milk pasteuriser and our new patented bottle-warmer.